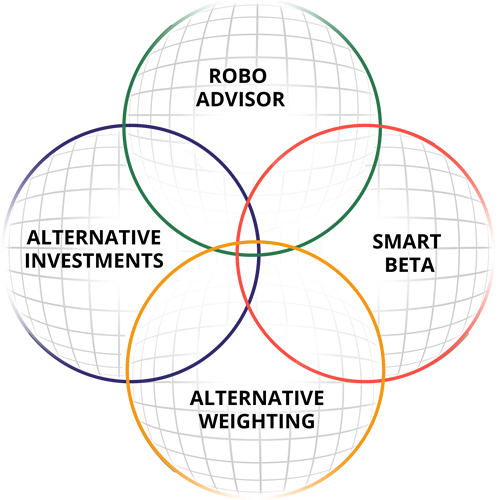 The Gsphere RoboAdvisor technology platform provides sophisticated, systematic and automated portfolio solutions to advisors and institutions. Approximately $25 billion has been professionally managed by our patented technology by our Financial Advisor and Institutional clientele. Our quantitative science and patents for diversification measurement, optimization and visualization create a unique and compelling investor experience that you will want to use for your best clients. Our results typically add 200 to 400 basis* points to legacy capitalization weighted strategies and Diversification Weighted® strategies can be readily customized for varying investments, strategies, asset classes and platforms. Gsphere.net is a private controlled website for wealth managers participating in the True Diversification program sponsored by Gravity Capital Partners. It is now being made available for licensing. * Denotes the January 2015 Journal of Indexes Legends of Indexing Issue.